Bring the whole family on your beach vacation! 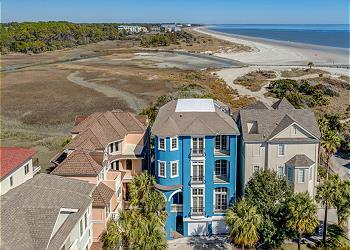 Browse our dog-friendly villas and homes in Hilton Head. 89 Dune Lane - Incredible 7 Bedroom Oceanfront Home! Stay 7 nights before May 11th and receive 10% off! 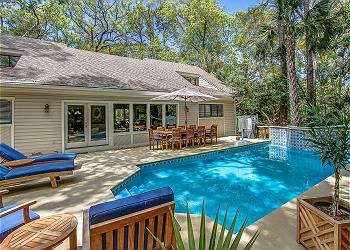 Your perfect vacation awaits at 89 Dune Lane! We are offering a discount just for you! Book now and receive 10% OFF 89 Dune Lane when you stay before May 11th, 2019! 89 Dune Lane is a beautiful oceanfront North Forest Beach home with plenty of space for entertaining! Bring the whole family and take advantage of this amazing deal at the beach! *This offer is not valid on existing bookings. This offer is available for 7-night bookings when you stay before May 11, 2019. The pool can be heated for an additional charge. This offer cannot be combined with any other offer.